Malaysia is a country which consists of almost everything. In Malaysia, you can find almost everything – from the rich cultural and historical background, up to the jaw-dropping artwork and other local productions produced with the creative and talented skills of the local people. All the states in Malaysia consist of their very own stories yet to be unfolded. Sabah is one of the states in Malaysia that consist various elements that you can explore throughout your whole vacation period in the state. 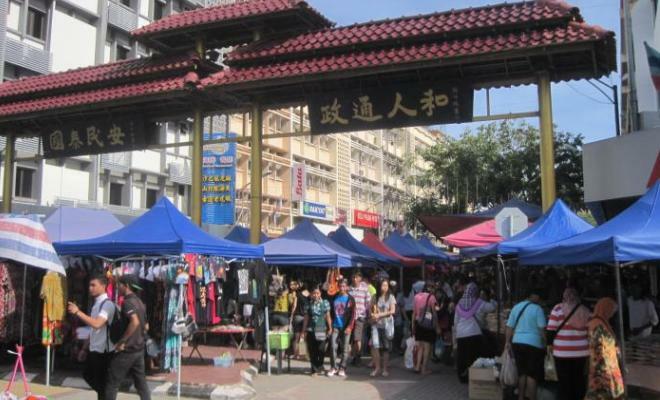 If you are interested with the local production by the local people in Sabah, be sure to visit the Gaya Street (Sunday Market) in Kota Kinabalu. The Gaya Street has a very long business story dated back to hundred years ago in Sabah and had always been the central point of business for the local people in Sabah. Here is the place where you can find businesses which had been handed down for multiple generations. Visiting the street will also make you feel a strong respect and loyalty of the local people towards the preservation of their traditional skills handed down by their families. In the same time, the street is also one of the best places you can find which allows you to witness all the traditional handmade skills of the local people all in one location. The Gaya Street is available for visit on every Sunday morning. You do not need to worry that the weather might be too hot to the extent that it may affect your enjoyable trip to the street because the local people are well-prepared with huge umbrellas to cover you under the shades. Visiting the street on a Sunday morning is exactly like taking a stroll around a humongous shopping mall. The only difference is that the products being sold in the street are all the hard work of the local people that you will definitely not able to obtain from any other shopping malls. Some of the products you can find in the Gaya Street include batik sarongs, different artworks and craft works, precious antiques and handmade souvenirs, as well as herbs and fruits planted by the local people themselves. Thus, this is also the best chance for you to stock up your shopping carts with valuable handmade products by the local people in the Gaya Street. In the same time, you will also obtain the chance to witness the creativity and the talent of the local people in innovating and creating more amazing products with the use of their traditional skills.